Schorem translates from Dutch slang as �scumbag� and was chosen by co-founders Bertus and long time friend Leen to capture the gritty reality of bringing real men�s old school barbering to the streets. They wrote their business plan on beer mats and opened in February 2011. Leen and Bertus created a shop shaped around themselves. 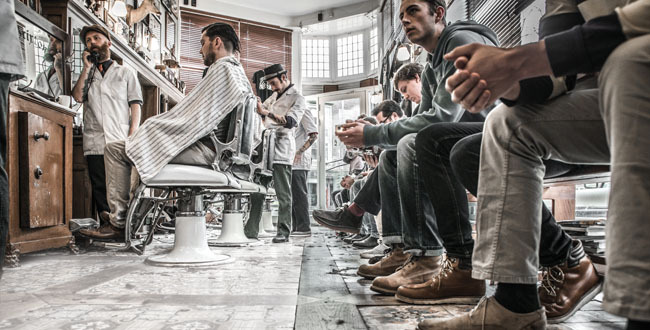 They wanted to do great work, cut some hair, listen to some cool music, have a beer and a laugh, study the rich culture and history of barbering and have a great deal of fun sharing their space with like minded clients. Beware though, while men and dogs are welcome the ladies need to stay on the street, not even their mothers are permitted entry. When you�re work speaks for itself you can pretty much say anything and Schorem makes no excuses. 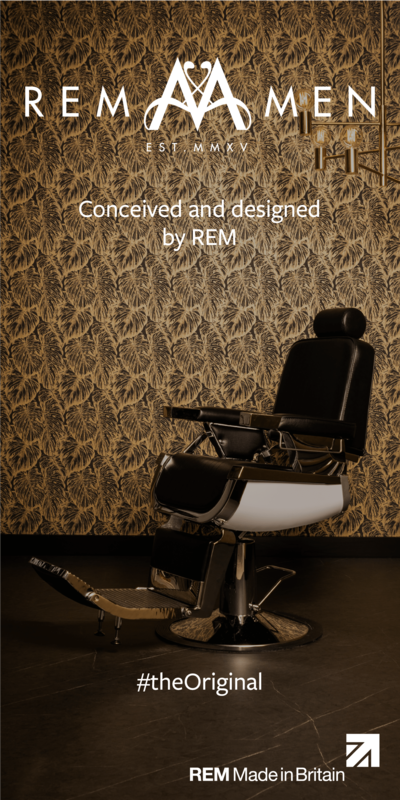 �We will never do a haircut that�s not going to suit the client but we made two posters – the �Barbershop Classics� and the �Signature Haircuts� with a total of 22 haircuts. We always say, if it�s not on one of the posters, you�re in the wrong place,� says Bertus. 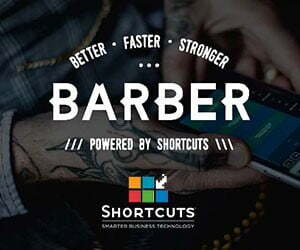 There can be a waiting time for one of those 22 cuts for up to 5 hours and with 111,000 Facebook followers and clients driving from Italy to visit, it�s a winning formula. Av. Clients:�Lots! Most days there is a queue of 40 at opening times. Shop: 5 cutting chairs but a new larger shop is opening across the street from the original. Appts: Never! It�s part of the culture. 45 mins on a cut, 20 mins on a shave � but perfect results are more important than time. Random: The handmade mirror case from 1890 is a prized possession and used to store customers own cutthroats.